The clause dictates that "artists playing this year's festival are restricted from playing ... in California, Nevada, Oregon, Washington or Arizona from Dec. 15, 2017, until May 7, 2018." Coachella is being sued over a contract clause that forbids its acts from performing at other festivals or events within a five-state radius of California over a five-month period surrounding the Indio, Calif. festival, which begins its first weekend this Friday, April 13, and continues in its second weekend on April 20-22. Portland, Ore.’s Soul’d Out Music Festival has brought a federal lawsuit against Coachella, as well as organizers AEG Presents and Goldenvoice, that accuses the festival’s aforementioned contract clause of violating anti-trust and unfair competition laws by creating “an illegal monopoly in the market for live music festival performances.” An alleged copy of the radius clause included in the lawsuit stipulates that “artists playing this year’s festival are restricted from playing any festival or themed event in California, Nevada, Oregon, Washington or Arizona from Dec. 15, 2017, until May 7, 2018,” per Billboard. Attorneys for Soul’d Out founders Nicholas Harris and Haytham Abdulhadi say they approached SZA to play their 2018 festival, but were turned down because of Coachella’s radius clause, which forbade the TDE artist—one of Coachella’s top-billed acts, performing on April 13 and 20—from performing at festivals in other West Coast states. Harris and Abdulhadi reached out to Goldenvoice directly in hopes of acquiring a waiver, but the organizers refused to grant them one. Soul’d Out ran into the same roadblock when attempting to recruit Daniel Caesar and Tank and The Bangas, both of whom also cited Coachella’s radius clause when declining to perform. Lawyer Nicholas F. Aldrich says that these artists cited “the unlawful radius clause in their contracts with Coachella as the sole reason” that they could not perform at Soul’d Out. 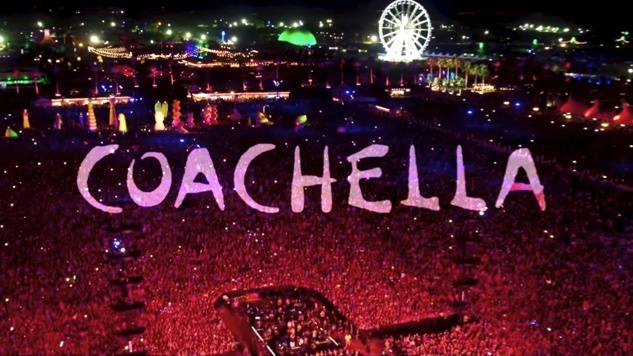 Per the suit, filed in U.S. District Court, the plaintiffs are accusing Coachella of engaging in “an unlawful restraint on trade, meant to use Coachella’s market power in the music festival market to suppress competition by other festivals.” They also claim that the festival allows artists to break the radius clause only when they are performing at AEG-sanctioned events, while enforcing the agreement to restrict artists from playing competing events. Reached for comment by Billboard, Goldenvoice had none. You’ll find their full report here.